Many dogs eat grass to settle an upset stomach. Dogs can’t run to the pharmacy if their tummies are upset. 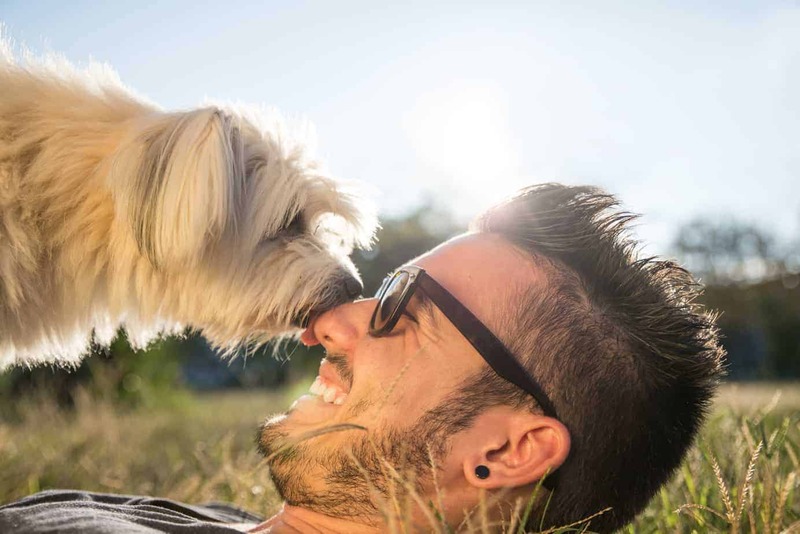 Nature, however, has provided them with an instinct to eat grass as a way to help them rid their bodies of indigestible materials, such as toy stuffing, a sock or especially pieces of undigested rawhide. Dogs eat grass if they have ingested something toxic, or if there is an excess of mucus and bile in their stomachs because they are hungry. Grass also provides extra roughage that may be needed if your dog either has diarrhea or is feeling constipated. 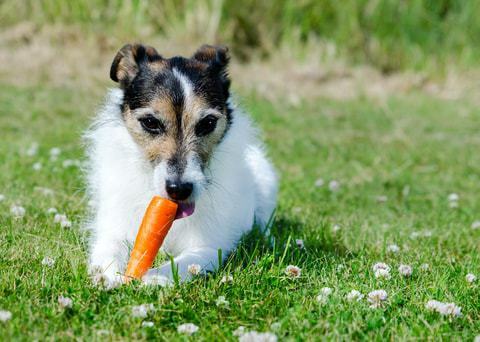 If your dog routinely eats grass, reconsider the food you are providing. 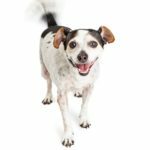 You may need to switch to a higher quality food to make sure your dog gets all the nutrients they need. Hungry dogs eat grass to relieve themselves of the discomfort of the mucus and bile build up in their empty stomach. This behavior is normal for an otherwise healthy dog. 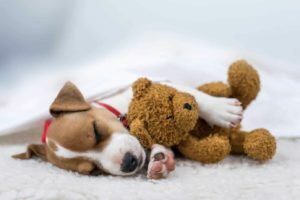 If it is done to excess, take your dog to your veterinarian so they can check for a more serious medical problem, change of diet, nutritional supplement or perhaps an extra feeding per day. If you see your dog eating grass, simply make sure they do not return to the house, until they have vomited outside! Be sure to check it out. It sounds gross, but you may get a clue as what is causing this behavior! 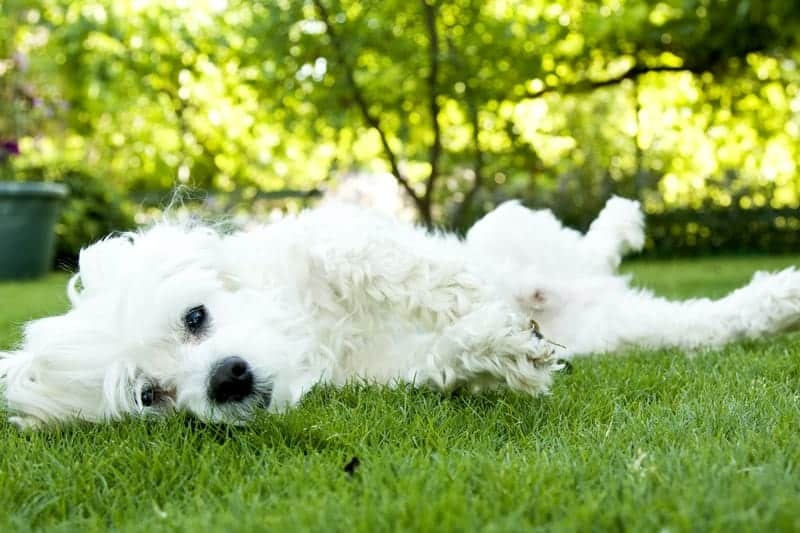 For dogs confined to condos or apartments or if you use chemicals on your lawn, provide them with wheat grass. It is available at many pet stores. Cats love it too! 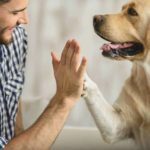 Bottom line: Your dog often instinctively knows what is best. If medical reasons are eliminated, and your lawn is not chemically treated, let your dogseat grass. It’s nature’s way of helping them stay healthy.